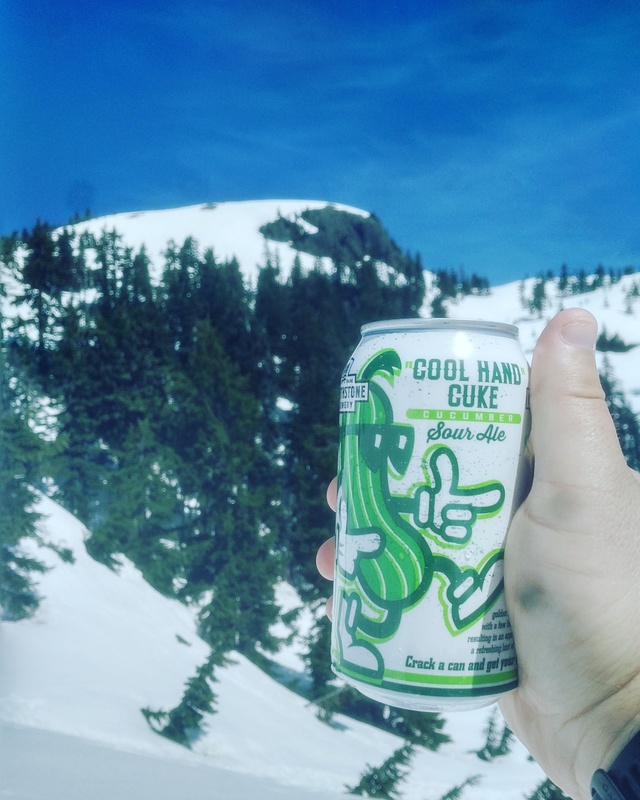 From Hearthstone Brewery in North Vancouver in collaboration with West Coast Canning comes their “Cool Hand Cuke” a cucumber sour ale originally made for CanCity canned beer festival in Vancouver and now a full seasonal. The beer pours a golden colour with a small white head that dissipates quickly. The aroma is of cucumber and a mild tartness. The flavour is of cucumber with a small tartness level and some mild bitterness. The alcohol content comes in at 4% with an IBU of 00. This cucumber sour is very well balanced with a mild sourness and is an amazing choice for warm weather that keeps threatening. Pick up your six pack asap. Commercial Description: Brewed in collaboration with the beauties over at West Coast Canning to celebrate the inaugural CANcity Beer Festival on July 30, 2016. This is a golden sour ale with a refreshing hint of cucumber. Crack a can and get your cuke on. This entry was posted in Session Ale, Sour Ale and tagged collaboration, cool hand cuke, craft beer, cucumber, hearthstone brewery, mild bitter, mild bitterness, north van, north vancouver, session ale, small tartness, sour ale, tart, tartness, west coast canning.